2,4D Herbicide is used for broadleaf control in turf and other labeled crops. 2,4D Herbicide kills most broadleaf weeds. See label for specific weeds controlled. No adjuvants necessary. 2,4D Amine Herbicide can be used in Ponds, Lakes, Reservoirs, Marshes, Bayous, Drainage Ditches, Canals, Rivers and Streams that are Quiescent or Slow Moving, Including Programs of the Tennessee Valley Authority. For selective control of many broadcast weeds in certain crops, including cereal grains (wheat, barley, millet, oats and rye), corn (field corn, popcorn and sweet corn), fallow land and crop stubble, orchard floors (apple, pear, stone fruit and nut), rice, sorghum (grain and forage sorghum), soybeans (preplant burndown application only); forests; rangeland and established grass pastures, including Conservation Reserve Program (CRP) acres; non-cropland; grasses grown for seed or sod, ornamental turf; and aquatic areas. 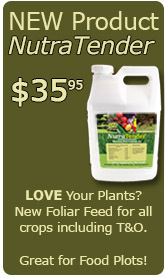 Best results are obtained when product is applied to young succulent weeds that are actively growing. The lower recommended rates will be satisfactory on susceptible annual weeds. For perennial weeds and conditions such as the very dry areas of the western states where control is difficult, the higher recommended rates should be used. When product is used for weed control in crops, the growth stage of the crop must be considered. Some plants and weeds, especially woody varieties, are difficult to control and may require repeat applications if permitted by this label. Approximate use rate: 1-1.5 quarts per acre. Plants controlled or suppressed by 2,4D Amine Herbicide, see label for specific information. 2,4D Amine Broadleaf Herbicide is labeled for use on the following crops but always consult the label for specific crop information.